I know I just wrote about another summer carnival, but these things come rapid-fire in August. 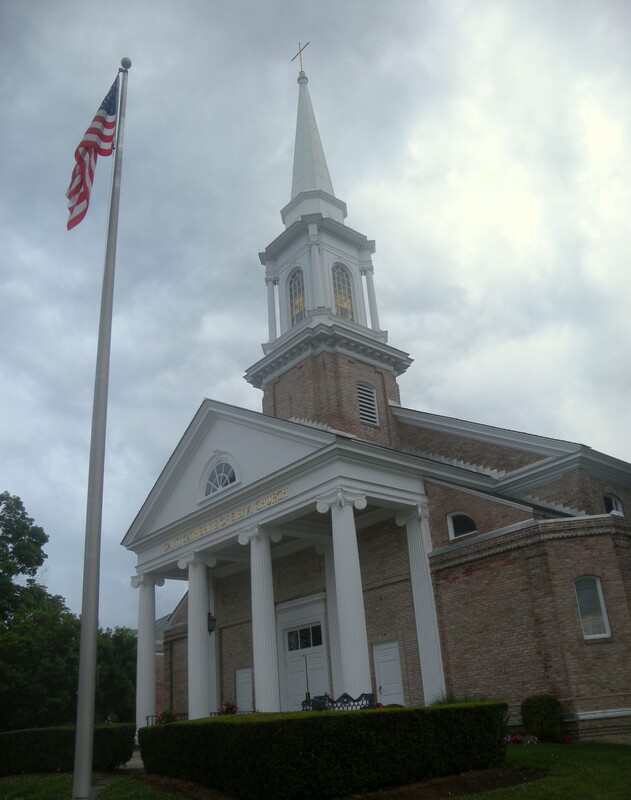 Saint Catherine of Siena is situated on the ridge overlooking Mianus River in the Greenwich neighborhood of Riverside. It was built in 1956 and was the last church designed by noted ecclesiastical architect Gustave E Steinbeck before his death in 1959. It’s really pretty inside, too, if I remember properly. Saint Catherine was a Benedictine nun from (Siena, obviously) Italy who is now a patron saint of Europe, and the patron saint of firefighters–she apparently fell in fires a lot, but never got burned–illness and the ill, and nurses, among other things. Her other claim to fame is being from one of the prettiest little old cities in Italy. Seriously, go Google some pictures of Siena. I’ll wait. Saint Catherine of Siena is also the church our family attended back when we lived in Cos Cob, by the way. Growing-up, Saint Catherine’s Carnival of Fun was the festival we looked forward to all year. Ferris wheels are kind of pretty at night, right? While moving away from the gambling activities that I remember growing-up to a more family-friendly affair, this is still a lot of fun and worth visiting if only for your second round of pizza fritta after Saint Roch’s festival last weekend. But there’s still plenty to do this coming Tuesday, August 12 through Saturday, August 16: rides, games, food, live entertainment, and even Bingo will be available each night. A shuttle service will be running from Eastern Middle School at 51 Hendrie Avenue to the Carnival each night. 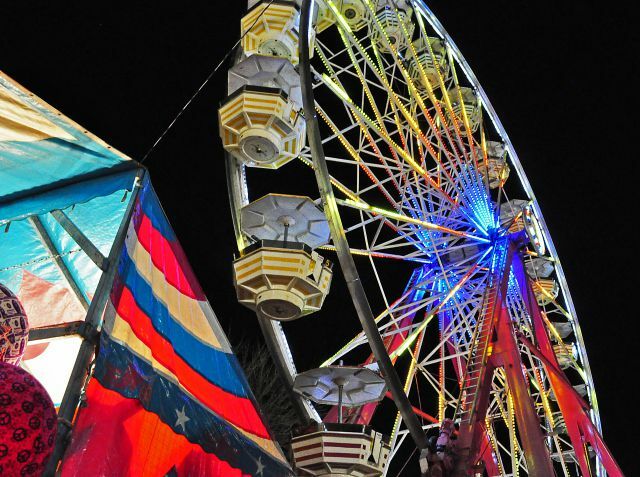 Be sure to come see why this carnival is still going strong after 101 years this year!